Here is a video I wrote, directed, and edited. 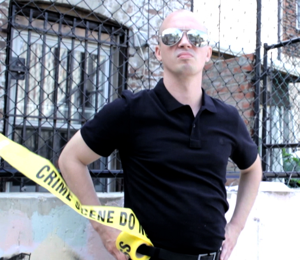 It is a cop show about a cop whose only job is to put up police tape. I’m very pleased with the results, though as I learn each time I produce a video, working with a zero-dollar budget is quite the challenge. Nevertheless, with the help of the very talented young Morgan Evans, and some extremely talented actors, I was able to make this idea come to life, and in a somewhat professional-looking way! I always get so nervous posting a video on-line. It’s not like stand-up, which is so fluid and impermanent that if something falls flat, you can simply change it up the next time or just abandon the idea all together. “Notes” from people in the biz can be ignored or incorporated as you see fit. With a video, however, you have to post it, set it free, and hope for the best. Once it’s out there, you can’t really change it unless you want to keep taking it down and re-posting it, which doesn’t really work with the nature of the internet. It’s either a hit or it’s not. Not that I expect this video to be a viral hit. It’s more of a short film and does not include any cats or guys getting kicked in the nuts. But I do hope that it is well-received and entertains a few people. Plus, it was a way for me to put all the skills I’ve gathered over the past few years to the test. I haven’t posted many videos in the past few years – but I’ve actually worked on tons – both at Fallon and as a freelance videographer. So this was important to me to try and get right. 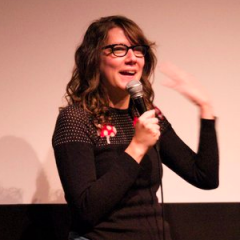 It was really great to work on something that I was not “in,” and to entrust my words with skilled comedians who I knew would add to them and take it to that next level. Nick Vatterott and Nick Turner are amazing comedians and performers and they brought some great energy. Also: Andrew Short, Mike O’Gorman, Livia Scott, Kara Klenk, Taylor Clark, Beth Rodgers, and Scott Moran (in a breakout performance as the dead body). The crew was also amazing, with Joe Spit as director of photography, Peter Yelton as key grip, and Beth Rodgers as production assistant. Anyway, here’s the video I’ve been rambling about. I’ve already got 3 or 4 more videos in the works, so hopefully each one will get better. Stay tuned, and enjoy The Taper. “Thanks for the compliment.” best line. Love it!! lol i love the ending. heard you on Bob and Tom today so i thought i’d check out your site. good stuff.